Each season we are going to start bringing you the top three items we are currently loving. Some of them may be a seasonal love, others may be something that we love all year round. We may include one item that we sell and tell you why they are perfect for the current season. Either way we go, we are going to let you in on our favorites and why they are our favorites. 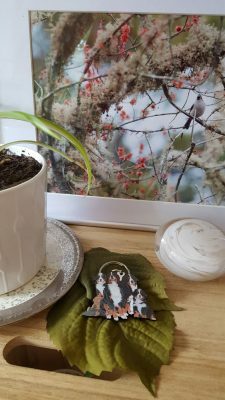 This fall, our top 3 items are succulents, the book Inward by Yung Pueblo, and our wooden dog lover keychains. As the cold weather approaches, we stat to realize what activities we will be missing out on with our dog. Activities such as gardening, walking, hiking, and going to the beach/park are all activities we enjoy doing with our dogs and they keep our minds and bodies active. When the cold hits, we miss out on all of those lovely things. The three things we are currently loving for fall are great ways to capture those same joys even when it’s cold! Why do succulents make our list? It’s fall, and that means that the weather is getting colder, which means we are moving much of our activities inside. Walking our dogs and playing in the yard becomes increasingly more difficult. We absolutely love being outside and gardening with our dog by our side, as many do, but after the first frost it’s time to say goodbye to our annuals! Succulents are fabulous because they are so easy to keep alive. They will last inside your home season after season, even if you don’t have a green thumb. So many of ours friends say they instantly kill any indoor plant. Well succulents will rid them of their black thumbs and provide that bit of nature that we all crave. Next up on our list is the book Inward by Yung Pueblo @yung_pueblo. We originally discovered the book through instagram while we were browsing around on our account @dogloverstore. Yung is a beautiful, deep, empowering writer. His book helps teach you that “true power is living the realization that you are your own healer, hero, and leader.” Going into the colder months where physical activities with your dog become more difficult, this book is the perfect medicine to help heal your spirits and lift any seasonal depression. Grab this book and cuddle up inside with your dog. Last up on our love list is our wooden keychains. 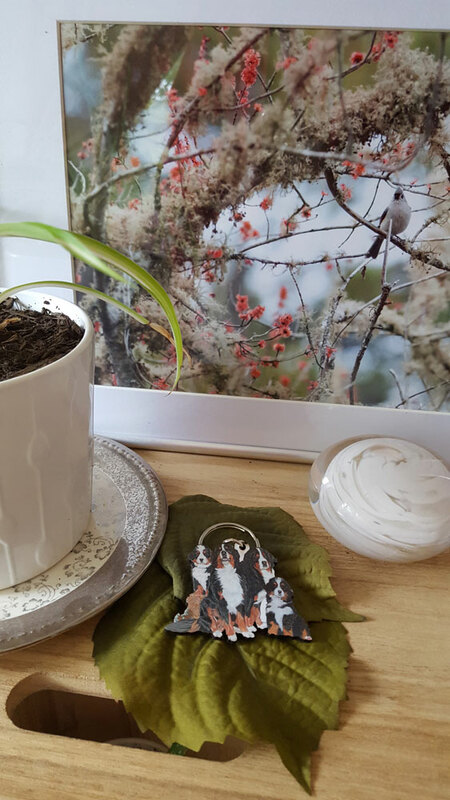 We love these keychains because they are beautifully made right here in the USA. The artist draws designs of any breed you can imagine and details the drawings with beautiful colors and objects. What can make a dog prettier or cuter? Butterflies, flowers, and crowns, of course! The dog breed keychains are made of a thick die cut wood and the designs are printed onto the front of each with a glossy finish. They are just too cute and instantly put a smile on our face! Plus, Christmas is just a short 60 days away. That’s right, we are mentioning Christmas before Thanksgiving. But, 60 days can go by in a blink of an eye. 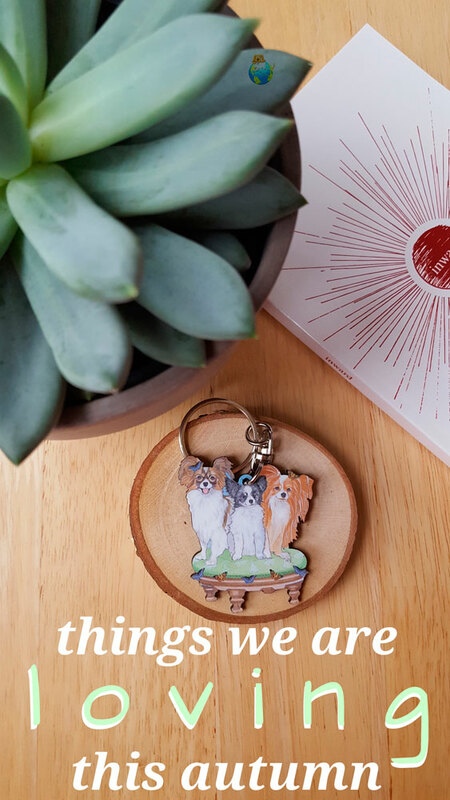 These wooden dog breed keychains are great to pick up as stocking stuffers. Be sure to check back each season to see what we are currently loving and how it relates to your dog! Items can range from books and songs, to movies and food, and more. Let us know what you are currently loving, too!